FORESTVILLE — The Forestville Lady Hornets swept the Brocton Lady Bulldogs in a CCAA North girls volleyball match Thursday, winning by a 25-18, 25-10, 25-18 score. Alison Mierzwa had six aces, four kills and two blocks for Forestville (3-0, 2-0). Rhianna Nasal contributed 18 assists and six aces, while Rachael Goodrich made three kills and hit two aces for the Lady Hornets. Brocton (0-3, 0-2) was led by Jypsi Eidens’ four kills, four digs and two blocks. Elise Miller made five digs for the Lady Bulldogs. 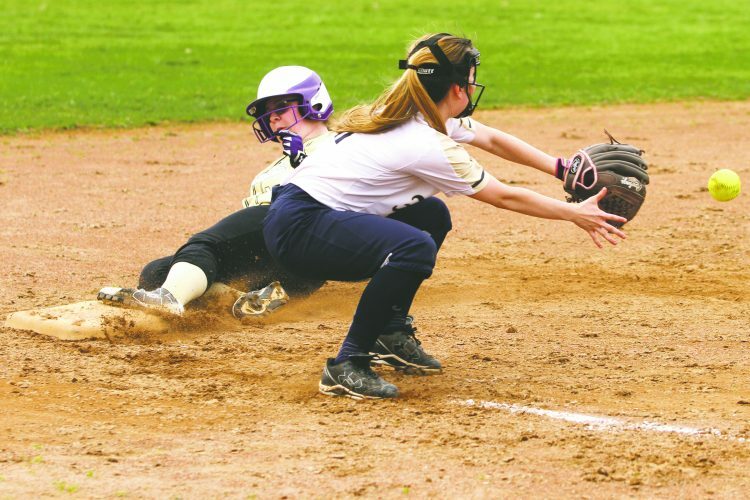 Forestville returns to action Monday with a contest at Cattaraugus-Little Valley. Brocton is back on the court today, hosting Sherman. SINCLAIRVILLE — Cassadaga Valley (3-1, 2-0) came away with a sweep at home, winning 25-22, 25-23 and 25-20 against North Collins (1-2, 1-1) in CCAA North volleyball. For Cassadaga Valley, Savanna Nickerson racked up 23 assists; Jenna Caskey came away with 12 kills and 12 digs; and Ashley Lind had 10 digs, two kills and an ace. For North Collins, Makenna Williams scored 17 assists, as well as five kills and 14 digs. Baylee Romano added nine kills, four aces and six digs, and Morgan Mathis had five kills. GOWANDA — The Gowanda Lady Panthers bounced back from a Wednesday loss at North Collins with a 25-10, 25-9, 25-20 defeat of Silver Creek on Thursday. Summer Allen helped Gowanda (1-1) with eight assists, three digs, three aces and a kill. Marleah Stevens came through with seven aces, five digs and four kills for the Lady Panthers, while Rachel Christopher contributed eight digs. Julia Hill had eight assists and six digs for the Black Knights (0-2). Krystal Schwab turned in eight digs and five kills, while Lauren Grover had five digs. Gowanda plays at Panama today, while Silver Creek hosts a tournament Saturday.